JR：5 min walk from Kita-senju station on the JR line. Tokyo Metro (Underground): 5 min walk from Kita-senju station on the Chiyoda Line and the Hibiya Line. Tobu Railway: 5 min walk from Kita-senju station on the Tobu Isezaki line. Metropolitan Intercity Railway: 5 min walk from Kita-senju station on the Tsukuba Express line. 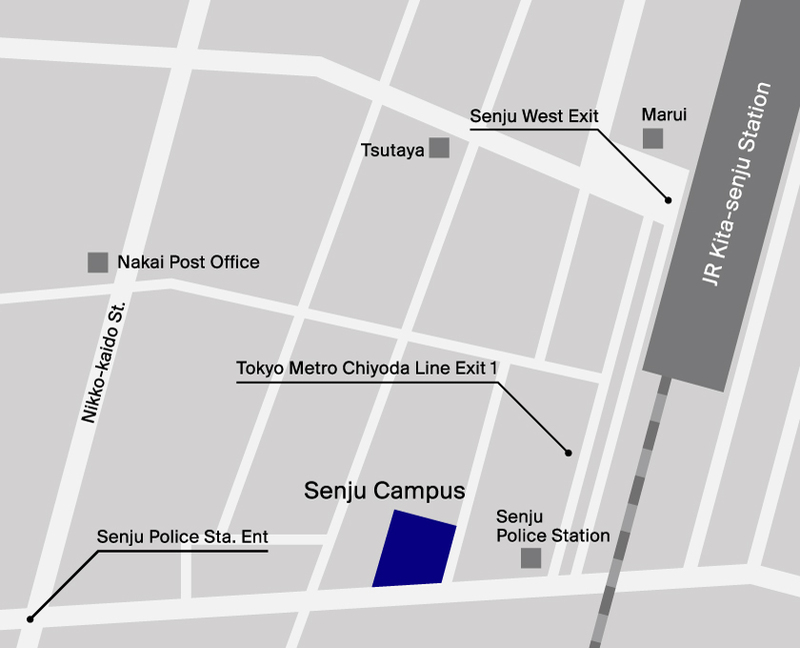 JR：10 min walk from Ueno station and Uguisudani station on the JR line. 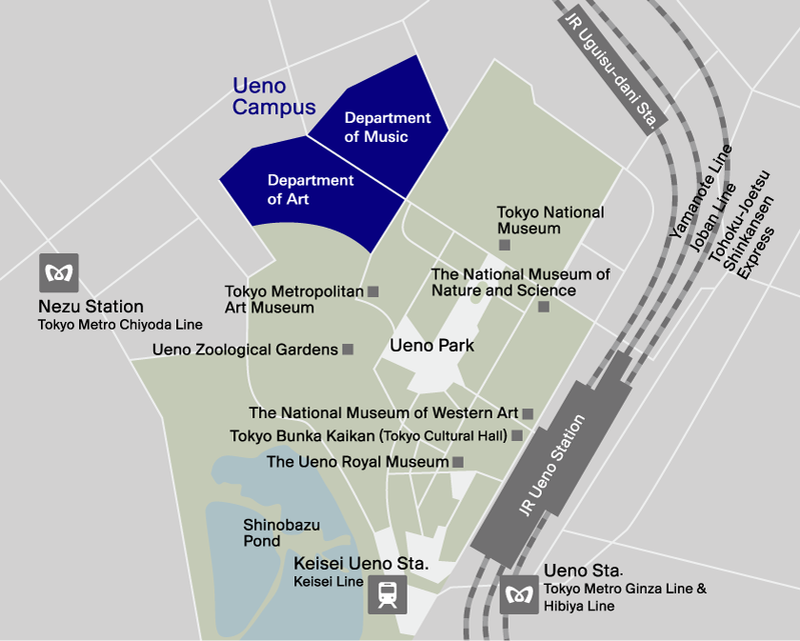 Tokyo Metro (Underground): 15 min walk from Ueno station on the Ginza line and Hibiya line. 10 min walk from Nezu station on the Chiyoda line. Keisei Electric Railway: 15 min walk from Keisei Ueno station on the Keisei railway line.